Ron Shore's gold and silver eagles are shown. Police have added another strange layer to the case of a stolen golden eagle statue, revealing that they're also searching for a decoy made of silver. 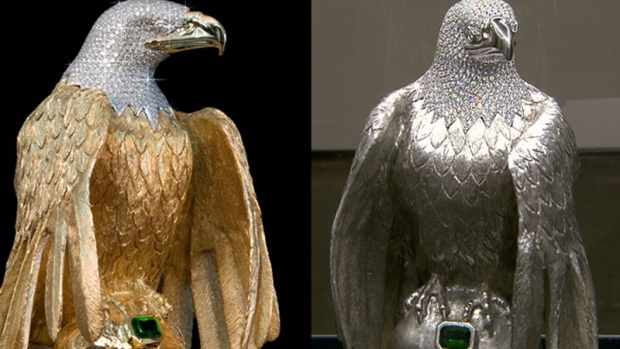 The diamond-encrusted eagle was reportedly stolen during a mugging in the parking lot of Pneuma Church in Ladner, B.C. on Sunday, May 29. Its owner, Ron Shore, told CTV News he was leaving a Christian concert at the church when he was attacked by two men. Shore was taken to hospital, but the statue, which he had in his backpack, did not escape the mugging. The Maltese Eagle was commissioned in 2009, and created by artist Kevin Peters. It is made of 14- and 18-karat gold, and contains a 12.72 carat emerald recovered from a 1600s shipwreck. Its head is embedded with 736 diamonds, weighing a total of 56 carats. At a news conference Thursday, Delta police announced that they have confirmed that two men took the statue. Investigators are searching for a dark-coloured SUV, possibly a GMC Yukon, and a red SUV that may be a Hyundai Santa Fe. The eagle had recently been appraised at $9 million, according to its owner, but Shore said Thursday that its value is considered to be closer to $7 million. "It may already have been melted down. If that's the case then I will be crushed. I'm hopeful that it's not," he said at the news conference. Shore said he's offering a $10,000 reward for the eagle's return. Officers then revealed that they're also looking for a second eagle made of silver, that was being used as a decoy. The silver eagle was also in a backpack, and stolen at the same time. An investigation is ongoing. Anyone with tips about the eagle’s whereabouts or information about the crime is asked to call 604-946-4411. Bill Keay/Postmedia News/FileRon Shore holds the now-stolen, solid gold eagle in 2010. Valued at more than $5 million, the statue is encrusted with more than 700 diamonds and features the Atocha Star — a 400-year-old, square-cut emerald recovered from a shipwreck. B.C. sculptor Kevin Peters turned on the TV news Monday at noon and was startled to see an image of a one-of-a-kind eagle statue he had crafted several years ago. At that moment, the phone rang. Ron Shore, the businessman who commissioned the piece of art, was on the other end. He wasn’t his usual self. He sounded defeated. “I lost the eagle,” Peters recalled him saying. Peters learned that Shore had been violently robbed of the solid-gold statue late Sunday in a residential neighbourhood in Ladner, a suburb south of Vancouver. “That took a minute to sink in,” he said. Official details of how the robbery went down remain murky. The Canadian Press / Handout-Ron Shore Ron Shore's solid gold eagle. There have been conflicting accounts in the media and Shore was unable Tuesday to reconcile them, saying he had received instructions from Delta, B.C., police not to comment on certain points. Andreas Basson, pastor at the Pneuma Church in Ladner, said the incident happened after a concert at the church. A mother and daughter saw two men beating Shore and one ran away with his backpack. As the assailants drove off, Shore tried to cling to the vehicle. “The daughter started crying because of what they saw,” he said Tuesday. This was no ordinary eagle. Valued at more than $5 million, the statue is encrusted with more than 700 diamonds and features the Atocha Star — a 400-year-old square-cut emerald recovered from a shipwreck. “If it moves, it catches light and catches your eye,” said Peters, who devoted a year to the project and went through three or four practice pieces. Shore said he mortgaged his house and used inheritance money and credit cards to finance the project. His hope was that proceeds from the sale of the eagle could be put toward an annual breast cancer benefit concert. “My wife is a (cancer) survivor. It was a very meaningful project to work on,” Peters said. “With the loss of this eagle, it really crushes my ability to fulfil my vision,” Shore said. Shore confirms the statue had been on display at Art! Vancouver, a four-day exhibition in the city’s downtown that concluded Sunday. Later that evening, it was stolen as it was being loaded into a vehicle and destined for safe keeping in a vault, he said. “I struggled as hard as I could, yet was unable to prevent the robbery,” he said Monday through police. I’d hate to think it’d be melted down. That’s my fear. CTV reported that Shore had left a church concert when he was confronted by two assailants. In an interview Monday with Postmedia, Shore said there was one assailant. On Tuesday he told the National Post there was “at least one” assailant. He wouldn’t confirm whether he had attended a church event that night. Nor would he say if any weapons were used. Shore did confirm he suffered injuries during the robbery and had to be taken to hospital. He was released the next morning. “I’m extremely sore,” he said. “They beat him up pretty bad,” Peters said. CTV reported the eagle was taken from a backpack Shore had been wearing. One churchgoer told CTV he saw Shore wearing the backpack and was aware of what was in it. Basson said he also recalled seeing Shore — who was not a regular church member — wearing the backpack at the concert. Shore wouldn’t say if the statue was insured. Delta police confirmed Tuesday they had asked Shore not to say anything more about the robbery. Acting Sgt. Sarah Swallow said investigators were interviewing witnesses and collecting surveillance footage from the area. This is not the first time the eagle has been targeted. In a 2010 interview, Shore told the Vancouver Sun that RCMP accompanied him and the eagle to an event because of concerns organized crime elements might be looking to steal it. Peters said a few people had expressed interest in the eagle but backed out because of security concerns. Shore, who once made headlines for making repeated attempts to get on to Donald Trump’s reality TV show, The Apprentice, said his priority is getting the statue back. But Peters worries the statue may have left the country — or worse. “Without the eagle, I don’t have anything,” Shore said Tuesday. The one-of-a-kind Maltese eagle statue is made of 18 pounds of pure gold, covered in 763 diamonds and contains a 12.7 carat emerald. It is valued around $6.8 million. Just hours before, the Golden Eagle had been on display at the Art! Vancouver four-day art fair. “It was the most valuable piece in the show,” Art! Vancouver Director Lisa Wolfin said. “Usually he keeps it in the bank vault,” she said, speaking of Shore. “After the event, since it was Sunday and the bank was not open, he didn’t return it to the bank and went somewhere else,” said Wolfin. She confirmed the statue was insured but did not know for what amount. CNN affiliate CTV reported Shore was leaving a Christian concert at a local church when he was robbed by two men. “He was wearing a backpack when he was talking to me,” Murphy said. “There was a designated security person with me at all times,” Shore said. He said because of the ongoing police investigation, he couldn’t provide more details of the incident. The Golden Eagle, however, was part of something much bigger. In 2002, Shore’s sister-in-law had to decide between her life and the life of her unborn child after she was diagnosed with breast cancer. “She was given the choice of getting chemo and saving her own life or saving the life of her child,” Shore said. After his sister-in-law passed away, Shore had his own near-death experience after a drunken driver slammed against his car at 100 mph. “As I was lying in the hospital bed I was thinking, what had my life really stood for? I though the bulk of my life had been selfish and I had not given back to the community enough,” he said. It was at this time of introspection that Shore turned to his MBA thesis: “How to Create the World’s Greatest Treasure Hunt.” He also created Hunt for the Cause, a nonprofit organization to raise funds for breast cancer research. The thesis scheme involved writing a series of “treasure hunt” books prompting readers to crack hidden codes and solve complex riddles. His website advertises a grand prize of $1 million “hidden somewhere in the world,” which can only be found using the clues in the books. Shore then set out to design and create the Golden Eagle. “I mortgaged my house and used my savings to buy the gold and diamonds,” said Shore. “And then to have an old world treasure I approached the Fisher family from Key West, with the Atocha shipwreck, and I asked them if they had an emerald from the shipwreck that I could use.” He bought one of the Atocha emeralds on a bid. But despite the flashy diamond-covered Golden Eagle theme, book sales flopped. Since 2010, Hunt for the Cause has netted around $15,000 from book sales, according to Shore. That’s a fraction of the $100 million he set out to raise. “Sales of the book have not been as good as we would have liked,” Shore acknowledged. To raise more funds, Shore decided it was time to sell the eagle. Before the Golden Eagle was stolen, it was for sale. Shore attempted to sell the statue at the Art! Vancouver show. “There were a few people who were interested in buying it,” he said. Once sold, the Golden Eagle would fund Shore’s next project: a series of music concerts to benefit breast cancer research. Police are treating the incident as a robbery, Delta Police spokeswoman Sarah Swallow said. They are canvasing the neighborhood for surveillance or CCTV video and looking at witness statements. “It is a very unique piece with significant media coverage. It would get harder to get rid of. But there are underground networks were this could be done,” Swallow said. SUFFIELD, Conn. (CBS Connecticut) – Suffield Police say they have recovered a painting valued at $25,000, stolen right off the wall of a local home. They aren’t revealing details about who stole the Henry Farny oil painting because the owner has declined to press charges. Authorities say the painting was stolen sometime around May 21, from the second floor of a home, where the owner is in the process of moving. There was no sign of forced entry. Police thanked the public and the media for their assistance in locating the art. Though the owner is currently out of state, police say he is grateful to have the painting back. A year or so ago, I received an uncharacteristically quick response to a Freedom of Information Act (FOIA) request I had filed with the Federal Bureau of Investigation. It seemed that my application for all FBI records pertaining to Raymond L.S. Patriarca would be granted, and rather soon, because another organization had filed the same request and the information was readily available. Since I was happy to receive the files in the form of a compact disk, I would have my information within weeks. When the disk came, I could hardly wait to read its contents. The size of the data was huge, consisting of thousand of pages of scanned FBI documents about the man who ran organized crime in New England from a small, understated business office on Federal Hill, just a block away from the corner of Federal and Albro Streets where my father grew up and where I once played with my brother on my grandmother’s front stoop. As I started to read the documents, I was taken aback by how much was redacted. The Bureau is careful not to release the names of people who are still alive or to divulge information that remains pertinent to criminal investigations. It seemed like every other sentence contained a blocked-out name. How could this many people from the 1950s and ‘60s still be within this mortal coil? Could the water in Providence be that good? I wasn’t quite sure what I hoped to find in the files. I certainly wanted to learn more about organized crime, and Patriarca’s reign was so long and so impressive that anyone interested in true crime, as am I, would undoubtedly be mesmerized by the Bureau’s files. As an investigator and writer, the Patriarca FOIA files represent a veritable anthology of mafia activity in New England from the 1950s through the early 1980s. But when I started to dig in, I became disheartened by the volume and put off a comprehensive review. Then GoLocalProv came to the rescue. The Patriarca Papers feature has been a godsend, doing the heavy lifting for me by culling out the important topics by heading and thereby creating a helpful index. I found myself on this site more often than my own FBI-produced CD. And one day, a particular heading jumped out at me: PAGE 49: Looking for a half a million Rembrandt. The conversation took place in July of 1962, so it had nothing to do with the three I seek--those were taken in 1990. Still, I was curious: what Rembrandt was it, and where is it now? My first step was obvious. Myles Connor is the world’s greatest art thief and a notorious criminal in the Boston area during the relevant period (and for many years thereafter). He certainly sounded like the perfect suspect. So I checked his autobiography, The Art of the Heist. Within, he tells of all of his criminal exploits. But there’s not a whiff of a 1962 Rembrandt to be found. In fact, he doesn’t mention a Rembrandt heist until he swiped a magnificent work from the Museum of Fine Arts in Boston in 1975. I don’t believe he’d have left out a theft from more than fifty years ago. My next suspect was Florian “Al” Monday. 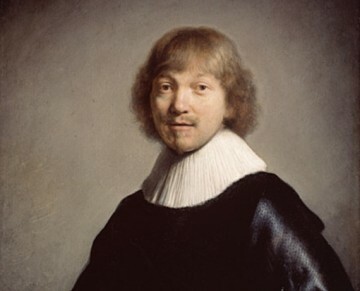 Al was the mastermind of a Rembrandt theft in Worcester in 1972. Though he wasn’t thought of as a Boston thief, he was from Rhode Island and had ties to the Patriarca organization at the relevant time. I went over the voluminous notes I had kept from my interviews of Monday over the years and, again, there’s no mention of a stolen Rembrandt ten years prior to his biggest crime. Still curious, I pored over old newspapers and found some Rembrandt heists from the period. There were masterpieces taken in Berlin and Holland, among others. But not only were they not in the half-million dollar range, they had all been recovered. In the United States, a painting believed to be a Rembrandt titled Tobias and His Wife was stolen in San Francisco, but that was only worth about $9,000. So, I’m left perplexed. It’s one thing to know a painting is stolen. It’s an entirely other thing to know an unknown painting is stolen. I began to wonder if maybe the mysterious man who approached Patriarca knew only one great artist’s name and referred to a stolen painting as a “Rembrandt” because he had never heard of, say, Frans Hals or Gerard Dou. In other words, a valuable painting equals “Rembrandt.” Or, as a colleague posited, perhaps there wasn’t really a painting available. Maybe it was just the criminal echo-chamber at work. I should probably just dismiss it as meaningless chatter. As far as I can see, it didn’t come up again. But I’m not the sort who can just forget about a stolen masterpiece. So, as is the case with so many missing paintings, the search continues. 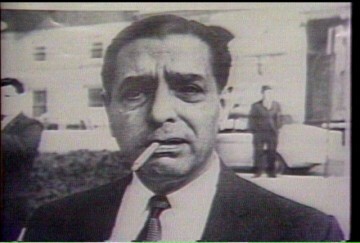 FBI Files - The Patriarca Papers - Entry 37, Did Patriarca’s Organization Own The Warwick Tent? FBI Files - The Patriarca Papers - Entry 34: Was Patriarca Funneling Money to Volpe and Bellotti? The return of an "Inverted Jenny" stamp from 1918 will be announced at the World Stamp Show at the Javits Center. MANHATTAN — A rare stamp called the “Inverted Jenny” was returned to its owner after it was stolen 61 years ago. 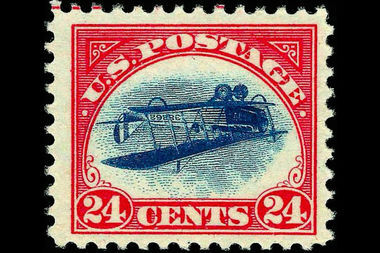 The 24-cent stamp with the image of an upside-down Curtiss JN-4HM airplane, also known as the "Jenny," was handed over to the American Philatelic Research Library at the World Stamp Show, which is currently happening at the Jacob Javits Convention Center. "It's with great pleasure that we return this Jenny from the block," said Manhattan U.S. Attorney Preet Bharara, referencing the popular Jennifer Lopez single, "First worth a little, now it's worth a lot." The 1918 stamp is one from a block of four, belonging to collector Ethel McCoy, that were secreted away from their display case during an exhibition at the American Philatelic Research Library convention in 1955, according to federal prosecutors. "There were no witnesses, no suspects and little evidence to pursue," said FBI Art Crime assistant director in charge Diego Rodriguez. The FBI Art Crime team recovered two stolen of McCoy's Inverted Jennies in the 1970s and 1980s. The Jennies were returned to the library since McCoy had donated the block of stamps to them in 1979, according to an agreement drafted by federal prosecutors. The third Inverted Jenny was handed over this April by Keelin O’Neill, a man who had received the stamp from his grandfather, who had purchased the stamp at a car boot, or yard sale, in Ireland. "Oh my god," said O'Neill, who received a $50,000 reward for relinquishing his claim to the stamp, "It's been a rollercoaster ride ever since it happened." Neither O'Neill nor his grandfather are suspected of being involved in the heist of the the third Jenny, which American Philatelic executive director Scott English to be worth about $170,000. The Inverted Jenny has been featured in movies and television: in the 1985 Richard Pryor film, "Brewster's Millions," Pryor's character uses an Inverted Jenny to mail a postcard. And The Simpson's own Homer trades away a block of the priceless stamps at a swap meet. The return of the third recovered Inverted Jenny to the library occurred just two days after another of McCoy’s stolen stamps was auctioned off at the Javits Center and sold for more than $1 million. The stamp was not returned in its original condition. The perforations were altered on the left side and the gum on the back was removed. Investigators believe the alterations were meant to mask the stamp's identity. Stamp enthusiast Sherri Jennings traveled from Colorado to see the hand-off at the Javits Center atrium. She called the day a historic event but expressed outrage that the stamp had been altered to hide its identity. "It would be painting over the Mona Lisa to disguise it," said Jennings. "Or taking the Venus de Milo and putting arms on it." THE HAGUE, NETHERLANDS -- A Ukranian art buyer has handed back a missing 18th-century painting stolen a decade ago from a Dutch museum, bringing the total number of masterpieces retrieved from the heist to five, officials said on Monday. “A Ukranian resident returned one of the 24 paintings that were stolen from the Westfries Museum to the Dutch Embassy in Kiev,” said Marieke van Leeuwen, spokeswoman for the Hoorn municipality in northwest Netherlands where the museum is based. “The man had brought in the painting in good faith and with a certificate of authenticity,” Van Leeuwen added in a statement. He did not say how the buyer came into possession of the latest returned painting, Izaak Ouwater’s 1784 piece entitled Nieuwstraat in Hoorn, valued at around €30,000 ($33,400). Twenty-four Dutch Golden Age masterpieces and 70 pieces of silverware were stolen from the Westfries Museum on the night of Jan. 9, 2005. For years Hoorn’s residents hoped that the stolen art would some day resurface. At the time of their disappearance, the paintings were valued at a total of 10 million euros ($11 million). 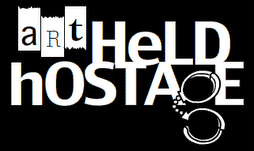 Thank you Art Hostage - you're providing a helpful blog for the Art World. On the Stolen Eagle case, we're working on the matter - my company Unitel (http://unitelartlossconsultants.com)has been in contact with the owner, artist/sculptor who created the Golden Eagle and we're in touch with Det-Sgt B. Cooper of the Major Crime Unit, Delta Police Department, Vancouver, B.C. Canada. All enquiries will be kept strictly confidential - preparations are underway for the posting of a reward. Anyone with information should approach our company. 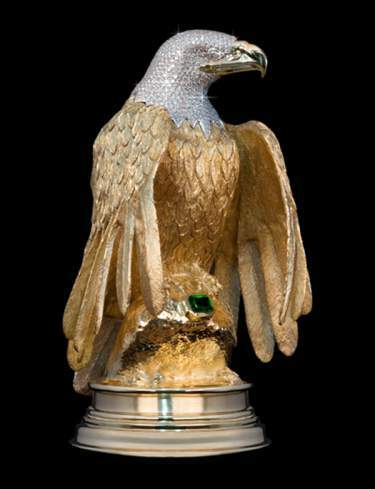 It should be noted that any attempt to destroy this artifact by melting down the metal will destroy all value in the piece - it's value lies in the integrity and beauty of the Eagle with the "Atocha" Emerald stone intact. A reward could very well exceed a melt scrap price.